Kol Hakavod to Team Darkaynu 2017! 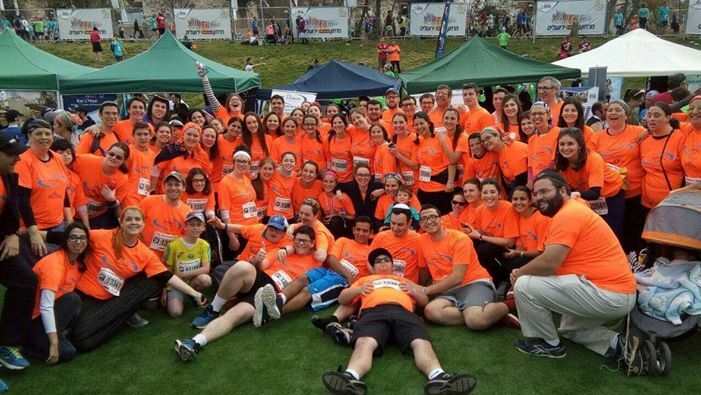 103 members of TEAM DARKAYNU — including all of the students in the Elaine & Norm Brodsky Darkaynu Programs, their friends, teachers, madrichim and madrichot — walked, jogged, or ran across the finish line after having participated in the Jerusalem Winner Marathon 10k event. Our students are so proud of their individual and collective accomplishments! Thanks to everyone who supported Team Darkaynu 2017, over $50,000 was raised for the Darkaynu Programs’ scholarship fund. Read more about the Elaine & Norm Darkaynu Program for Women and the Elaine & Norm Darkaynu Program for Men, the only year-in-Israel experience for young adults with special needs. Our students, who come from all over, have a range of diagnoses, disabilities, and, most importantly: abilities. Darkaynu affords them the opportunity to develop friendships, self esteem and a lasting connection with Am Yisrael in Eretz Yisrael.